Preplan, preplan, preplan! - If you fail to plan you’re planning to fail! Being on track has never been easier for me.. especially when I’m planning ahead exactly what I’ll be eating. Out of the house for the majority of the day? Bring food with you! Plan when and what you’ll be having. I generally will plan out a weeks worth of dinners and 2-3 days ahead what I’ll be having for breakfast and lunch. Sometimes I'll even just decide what snacks I'll have ahead of time. Have snack craving? Plan it in ahead of time and just have healthier meals that day. I usually plan my meals in a google doc where I also keep my grocery list. 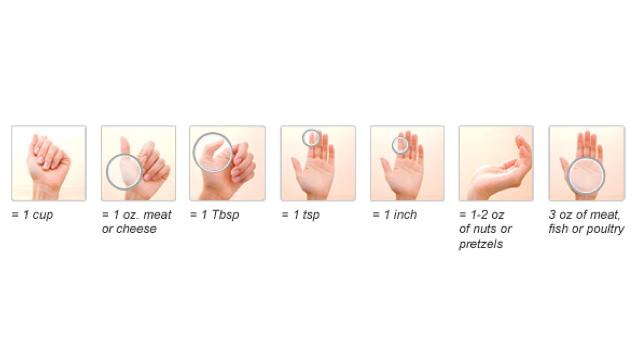 Know your portion sizes - It’s always a good idea to measure out your portion sizes at least a few times so you can SEE exactly what 1 cup looks like. 1 cup of rice, 1 cup of potatoes and 1 cup of cereal look REALLY different. I think I may be the only person in the world who eats a 3/4 cup serving of cereal. It's easy... I just eat out of a REALLY small bowl. Steam or roast your veggies! - Don’t saute or deep fry as your just adding extra unwanted calories. Steamed packs the most bite anyways if you do it right ;) Yum! I've been preparing almost ALL of my vegetables steamed if I don't eat them raw. Carrots, beans and broccoli have been some of my most recent favourites. Hope you have found these helpful. What is your most useful healthy eating tip?